Before buying this, I had never used a toner before, nor did I truly know what one was. After quickly Googling it, I can tell you that a toner’s purpose is to cleanse the skin, shrink the appearance of pores and restore the skin’s pH. I suffer quite a bit from large pores and I don’t think it’s an attractive look so I’m constantly on the lookout for a that one product that will make my skin look flawless without wearing any make-up. 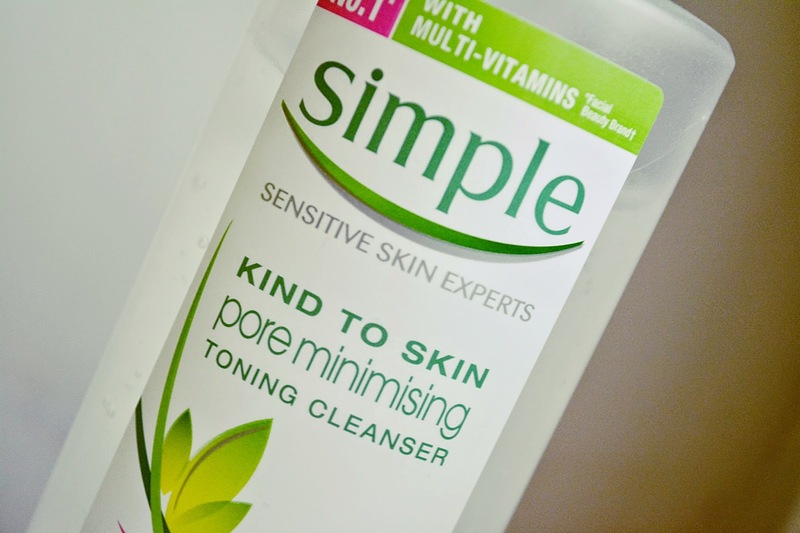 When I saw this in Sainsbury’s a few months ago, I decided to spend the £4.85 and get this Simple Kind to Skin Pore Minimising Toning Cleanser. In my Body Shop/Boots Haul back at the end of August, I noted that I had bought the Body Shop Silky Cleansing Oil. 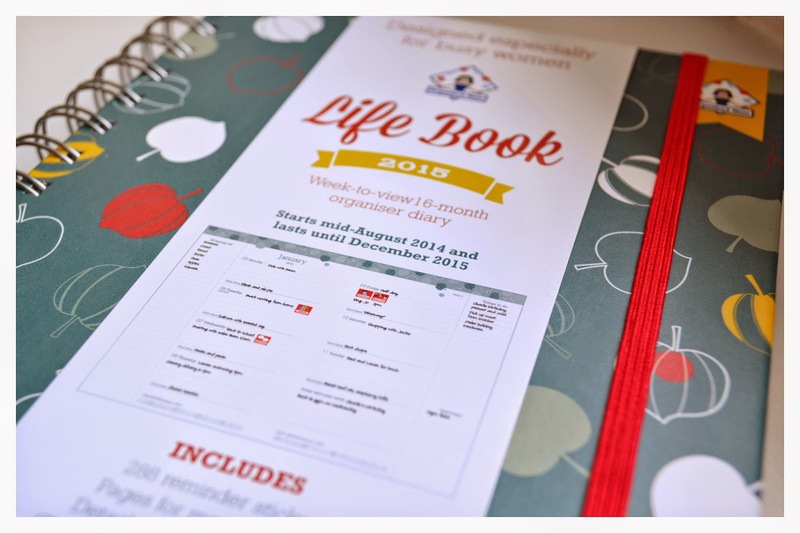 I have had it for a while now and have used it quite a few times so I feel like I can finally give a suitable review for all of my lovely followers. I primarily use this product for taking off minimal makeup, usually when I am just wearing my L’Oreal Paris True Match Minerals Foundation and some mascara. I squirt one pump into the palm of my hand, rub my hands together and then rub it over my face. It feels very unusual at first though this is just because it is an oil and every other cleansing product I have used is either a gel or a lotion, however it does smell beautiful. Once I have rubbed my face so that my foundation is loose, I begin on my eyes, gently rubbing to remove all eyeshadow and mascara. When my makeup is off, I run my fingers under the warm tap and rub my face a little more just to make sure there is no make-up left. I then take a damp, warm flannel and wipe it over my face to remove all of the oil before patting my face dry with a towel. What I love about this product – other than the smell – is how silky and smooth it leaves my skin. After I have dried my face, my pores look smaller and my skin looks really clean, plus it doesn’t leave a dry or tight feeling after I have used it. I also love that this product doesn’t take much effort or pressure to remove my foundation and mascara, nor does it aggravate or exaggerate my oily skin. I had heard someone comment that it can cause breakouts so I was a bit wary using it, however I haven’t experienced any breakouts since using this whatsoever. The only criticism I really have is that sometimes, if I press the pump down firmly the product can really squirt out so I have to remember to be gentle! I had been a bit wary about how well this oil would take a full, heavy face of makeup off, however I used it last night to take off layers of foundation, concealer and powder, plus a heavy smokey-eye look and bright red lips. I ended up using three pumps (as opposed to my usual one pump when taking off my daily makeup) but it got my makeup off so quickly it was unbelievable. It is so efficient to have this as it not only removes makeup but also cleanses your face as well, whereas before this was in my life I was having to use makeup remover on a cotton pad and then cleanse my face afterwards as well. I hope this review has been beneficial to you, if you have any questions then comment below. 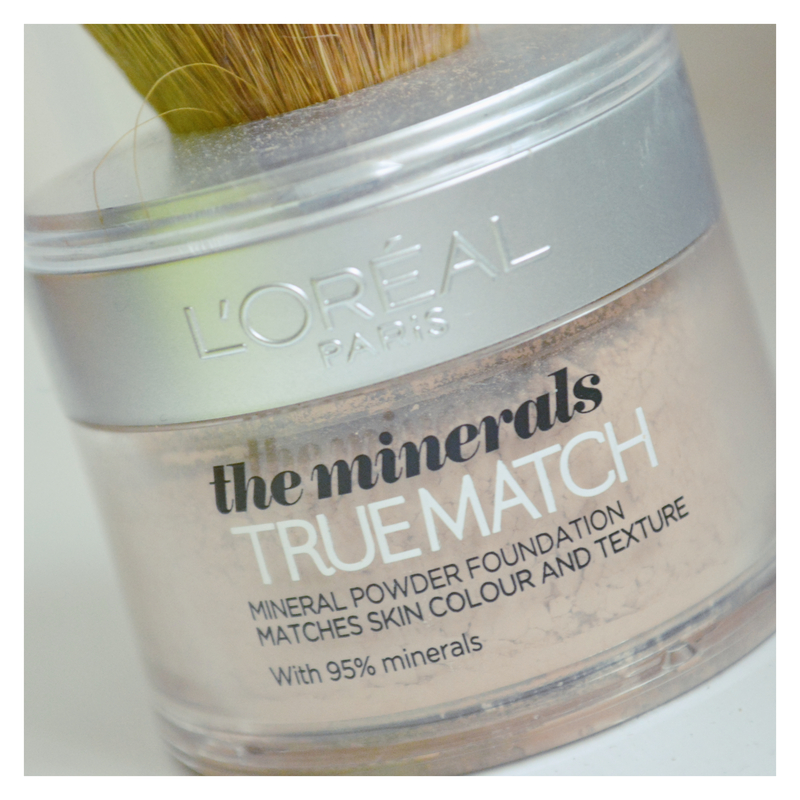 I bought the L’Oreal Paris True Match Minerals Foundation a few months ago. Before I bought this, I was very much a liquid foundation girl as I felt like it gave me much better coverage. After all, the only other coloured powder I had truly used was the Maybelline Fit Me powder, which is a fairly light powder that doesn’t add much coverage. After using this product, I am quite torn between liquid and powder foundations and I really want to try out more powders now. I had heard a lot of hype surrounding the Maybelline Baby Lips products so when I went into Boots earlier in the year and saw they were on a Buy One Get One Half Price offer, I knew I had to get some immediately. I decided to buy the Hydrate lip balm to see if it could cure my dry lips and also the Pink Punch one as I loved the idea of a tinted lip balm. I have always wanted to wear pink lipstick but I am too afraid of buying some and wearing the solid, noticeable colour – I thought this colouring would be a bit more subtle. I was super excited to try them both out and loved how easily they glided onto my lips, but the results were actually incredibly disappointing.